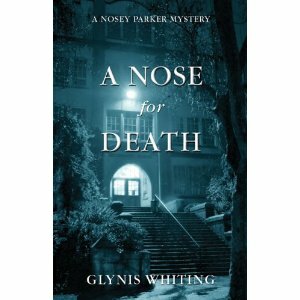 I was fortunate to attend a reading of “A Nose for Death” given by its author Glynis Whiting. This is Whiting’s first novel, although she has had a long career as a writer of television documentaries so she is certainly no stranger to the written word. “A Nose for Death” is the first in a planned series of “Nosey Parker” mysteries. The central character, Dr. Joan Parker, has an uncanny ability to identify scents. She finds this skill comes in very handy when she is thrust into the middle of a murder investigation at her high school reunion. Although I am not a devoted murder mystery fan, I do like a well-plotted murder mystery that features an appealing central character and includes enough twists and turns to keep me turning the page. “A Nose for Death” delivers on both counts. Joan Parker is smart and appealing with just enough of a past to make her emotional responses intriguing. The novel is also very well constructed with believable characters, a vivid setting (small town BC – immediately recognizable! ), and a respectable number of red herrings.